For those of you, possibly new to the world of machine embroidery, who are wondering what to do with a collection of small designs, please, let me begin to count the ways because small elements are my favorite designs allowing the freedom to create! A single element can be repeated to form a larger unit. When doing so, it is often a good idea to rotate the design creating a more natural, less symmetrical look to the unit. Single, individual elements can be combined with other elements to form a larger unit. 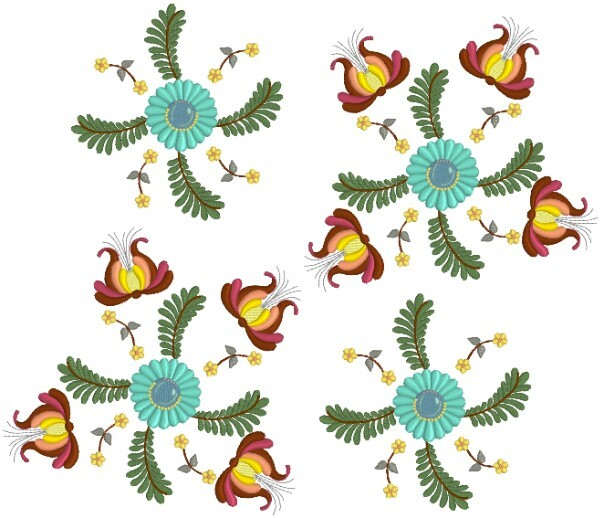 which can be stitched as a single design, or copied and repeated to cover a larger area. providing a new look to the original block. This unit can either stand on its own or be combined for another unique design. Are you beginning to see the myriad of possibilities with these amazing birthday designs? 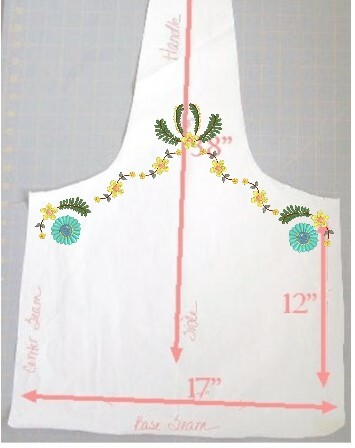 One of the best features of using small elements to form larger designs is that you can make a design fit a designated shape and within specific measurements. 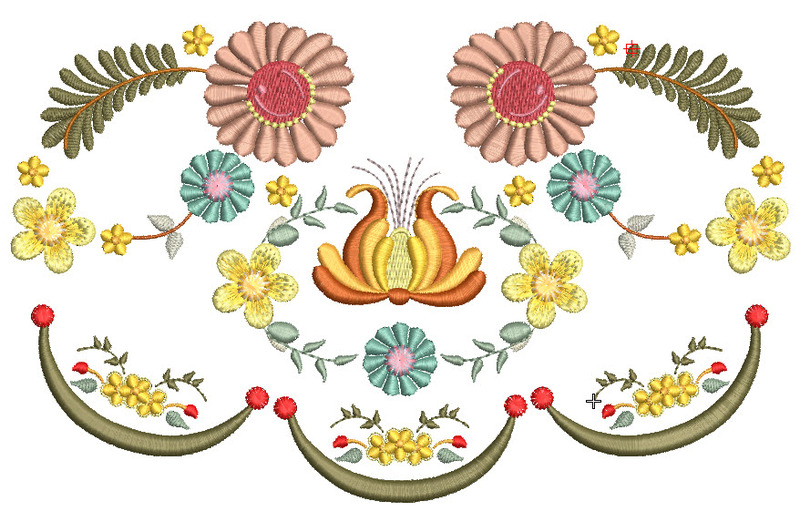 It’s fun to merge design elements and change the colors to match as seen in this pretty border! Graceful Embroidery’s exclusive Outline Alignment stitches (OAS) makes it easy to line everything up perfectly to not only create large layouts but also to aid in the stitching process. You can even go really big and come up with a beautiful layout for a throw pillow!! Just have fun!! Now I love these combinations that Pamela has created. I am always excited to see how she uses and combines my designs. Thank you so much for sharing them with us all Pamela. I will probably be using some of these for the larger designs in this new collection which will develop over the next months. Perhaps this blog has given you a few ideas. 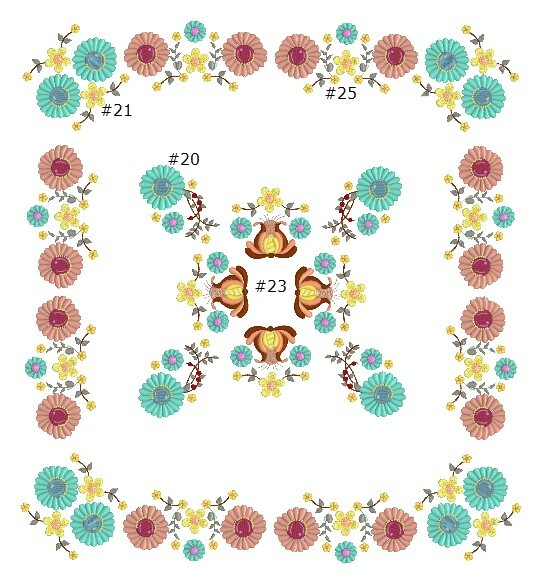 Do share any combinations you create and I will consider them all for the larger design sets in the collection. This is one of my favourite designs in the set. Glorious! I will enjoy developing these designs still further but then I think you knew how I love to play. 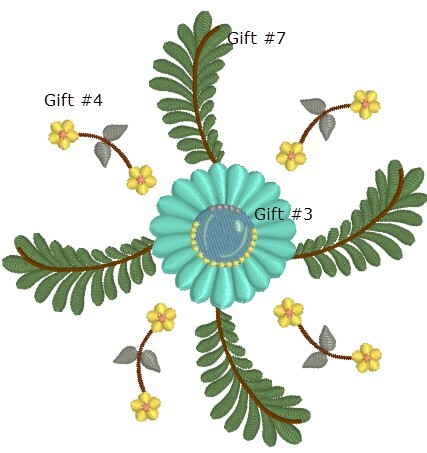 Yesterday I gave these designs a name suggested by Jenni one of the members of my group. 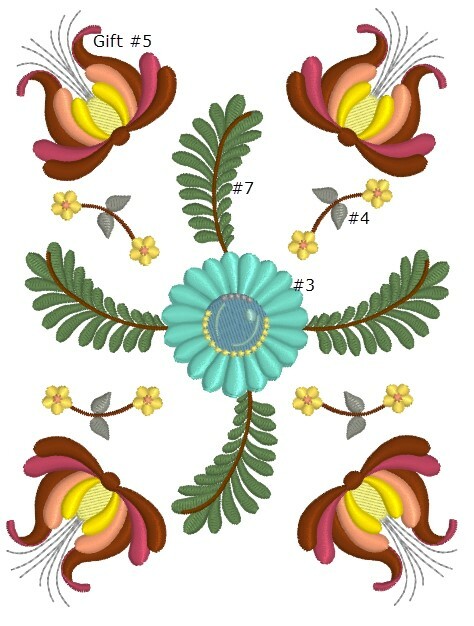 The name Bohemian Jewels is the perfect celebratory name for these special designs that I have been sharing with all the members of my embroidery group. Oh dear I hear you say I have missed out! 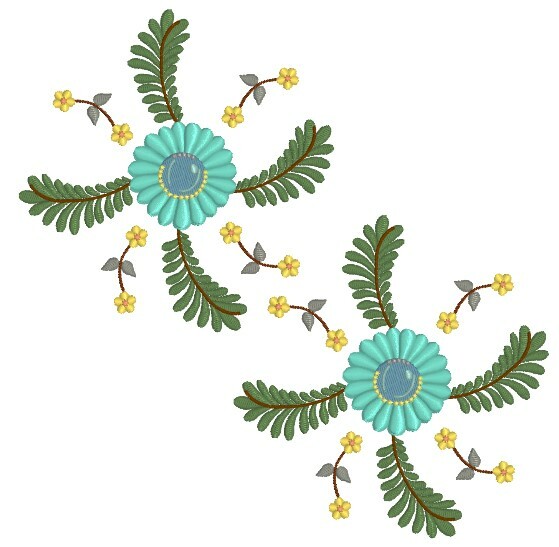 There is still time to join the group and partake in all the embroidery fun. 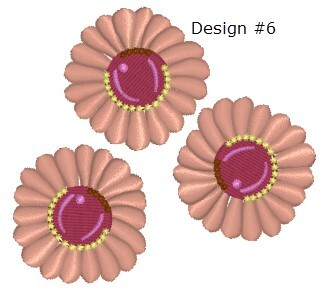 This entry was posted in Discussing machine embroidery, New Designs and tagged Pamela Cox. Bookmark the permalink. Interesting tidbits. 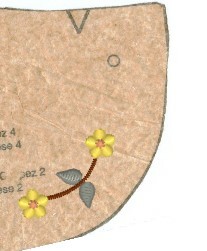 Now, what are outline alignment stitches?? I’ve seen designs that I download with lines around them. I never knew what they were? How does one use them?? 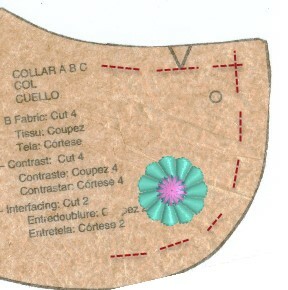 Outline alignment stitches have been exclusively added as an option to my designs since April 2011. I have written several blogs on them and there are tutorials for them on my website. To help you discover more I have put a link on the side of the blog or you could search online. Thank you for the wonderful ideas! I love designs but sometimes don’t always know what to do with them. Thank you, Pamela, for sharing. It helps spark the imagination. I will email you personally to explain how to get them. When you join a Yahoo group you don’t think you have to use a Yahoo email address. Let me know if you meet problems. new here – how do I get these great designs? thanks! Great to have you part of the Graceful Embroidery clan. Enjoy. I have reset up my yahoo accounts , but I am not seeing how to get these free designs. 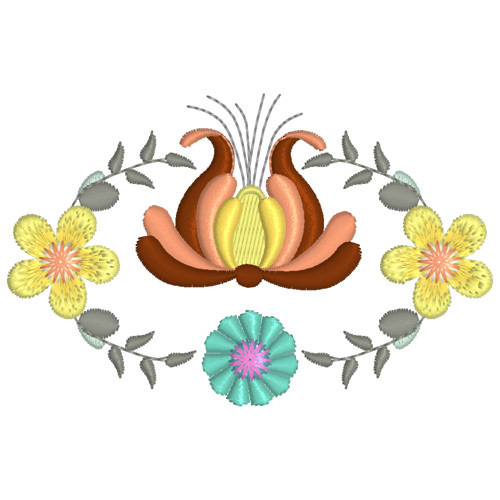 Your membership is now approved and you will be able to get the designs. There is a special help page for the Birthday event with video tutorials. I don’t have a lot of experience combining designs, but I will say that I love the way Pamela pulled the designs together to create different looks. It will help me and will peak my imagination!